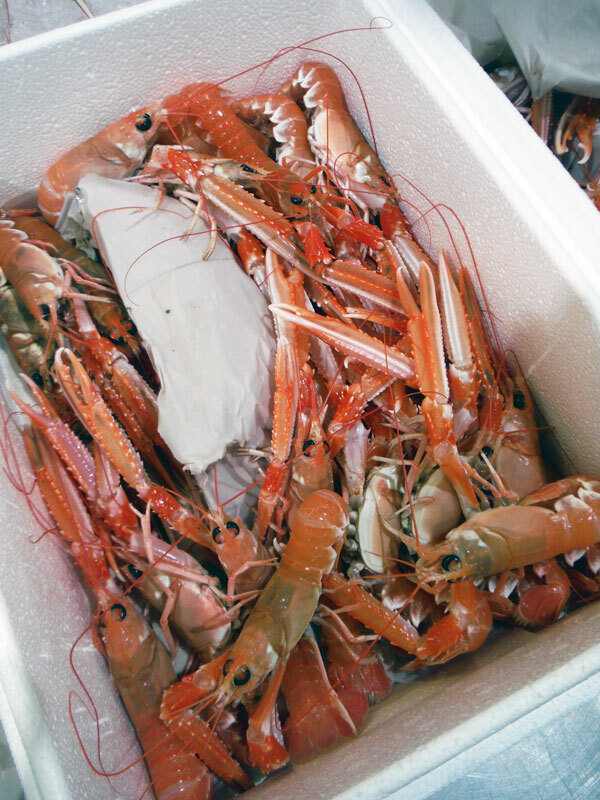 Langoustines (pictured above and below), also known as Dublin Bay Prawns, nethrops, Norway lobster or scampi (just the tails), are surely among the finest shellfish on earth. 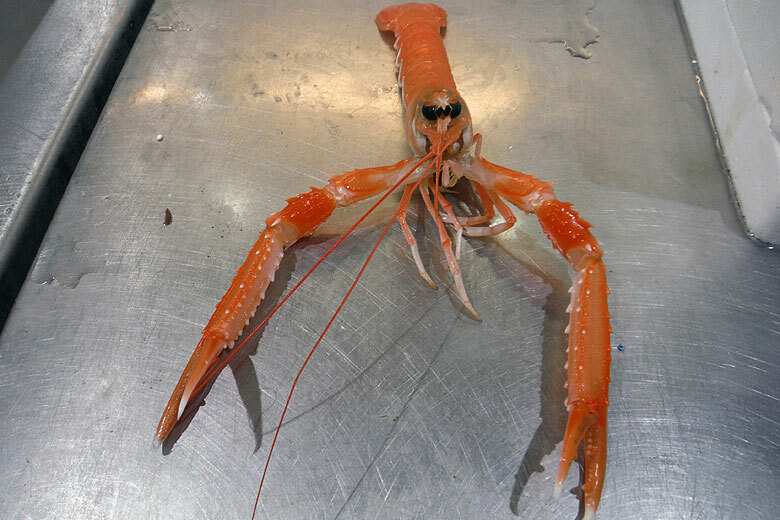 Sadly, more than two-thirds of the langoustines caught in our waters are exported, mostly to the Continent, where they appreciate them enough to meet the admittedly pretty steep price tag. That said, there are plenty of these beautiful shellfish available at Billingsgate this week, sold alive and kicking, like the one pictured here: unlike prawns and lobsters, which turn orange-pink when cooked, langoustines are naturally this colour. Inside the shell, which turns a slightly more pastel orange when cooked, the tail meat is pure white, as is the claw meat – although you need a pretty large langoustine to make it worthwhile cracking into these. There are plenty of fantastic recipes out there, but personally I think the best approach is just to boil them, crack open the tail, and pop the meat into your mouth, with nothing added whatsoever. Bourgeois snapper (above) has made a welcome appearance this week. How lucky are we?! 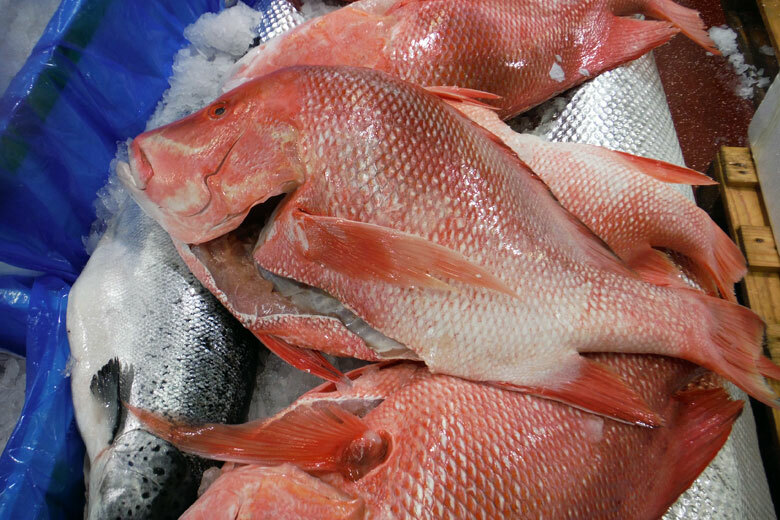 These magnificent fish from the Seychelles have been flown in fresh, not frozen – beautifully cleaned, with all the innards immaculately removed – ready for you to throw in the oven for that impressive dinner party. Or indeed, for any chefs reading this blog, as the headline dish on a specials board. 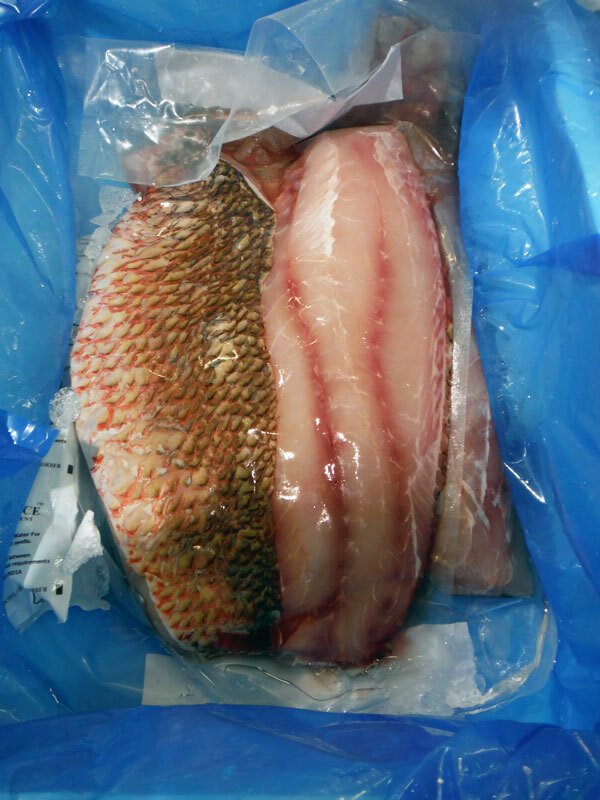 If you think that you may be out of your depth buying a fish of this size (or indeed this cost; £50 or so) then the merchant AA Lyons also has some snapper fillets (below) from the same supplier. Again, all the work has been done, ready for you just to pop the bag open, and whack them on a sizzling griddle pan. You can be as adventurous as you like with spices and sauces, as the chunky meat will take on the flavours nicely. Alternatively, dig out that slow cooker from the back of your cupboard, get a nice stew or curry cooking away, and then add the snapper fillet, cut into chunks, about 20 minutes before you’re ready to serve. If exotic fish don’t float your boat this week, how about some of the best-looking John Dory I have seen in a long time? 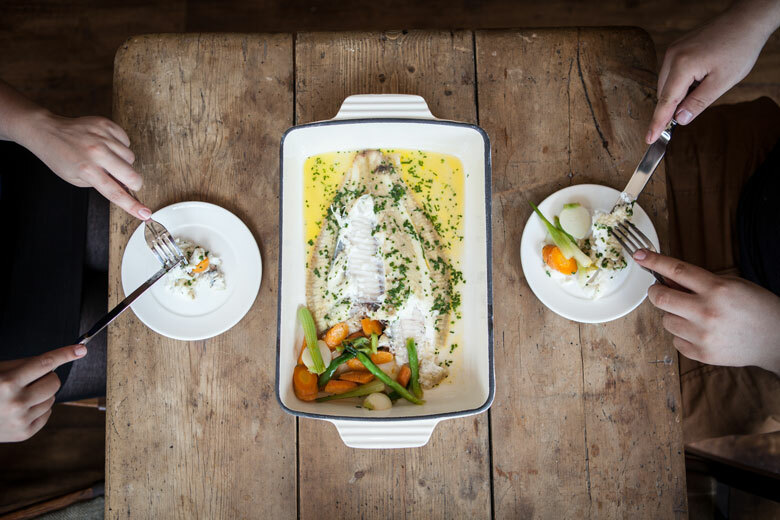 Fresh from our own waters, these stunning fish are a real treat. You might think they’re a bit expensive, but that all depends on what you are comparing them with. Chamberlain & Thelwell have been selling them this week cheaper than Dover sole, halibut and turbot. Go on, treat yourself – but please, please don’t over-cook it! 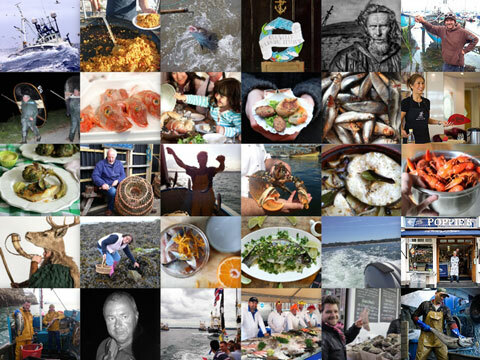 Also looking absolutely gorgeous this week are wild sea bass and some fantastic squid. So look out for next week’s blog: they could be on the menu. Enjoy!